Simone Mühl hopes to fill a gap in the ancient history of an area in what is now Iraqi Kurdistan. The young researcher has been awarded the Therese von Bayern Prize for her work in the region. When archaeologist Simone Mühl returned to the site of her excavations in last summer, she could hardly believe her eyes. The whole area was under water. When she had last seen it, the low mound at the center of the site was surrounded by fields of grain. Now fishing boats were anchored around it. “It was a fascinating sight, for I had never seen the mound like that before,” she says. 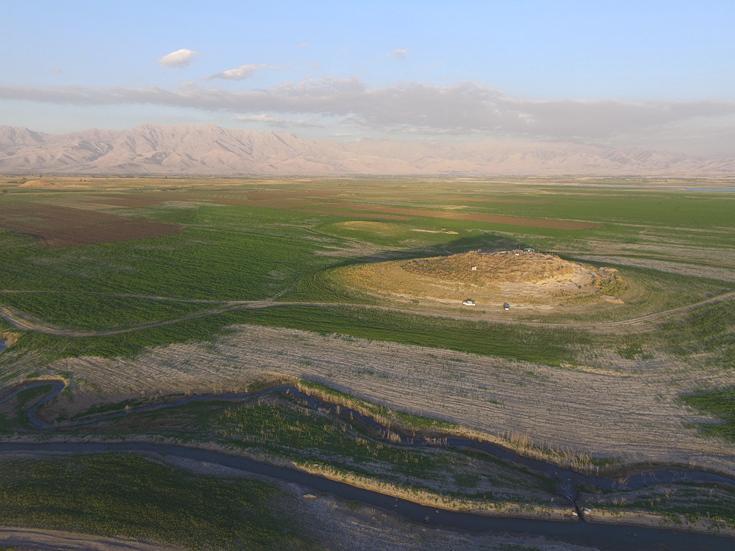 Gird-i Shamlu lies in the plain of Shahrizor in Iraqi Kurdistan, in the foothills of the Zagros Mountains close to the border with Iran. In the center of the plain is an artificial lake created by the damming of rivers in the valley. By August, when the digging season starts, much of the water that is released from the reservoir beginning in early summer, has usually been absorbed, and the irrigated surface can again be used for agriculture by the local inhabitants. One of the questions that Simone Mühl hopes to answer is whether or not agriculture was already being practiced in this area 5000 years ago. References to the region in cuneiform texts break off abruptly at around this time. Prior to that, the region formed part of the network of trade routes that connected the Iranian highlands with Mesopotamia to the southwest. The first urban civilizations had emerged in Mesopotamia in the 4th millennium BCE, and the survival of the cities was dependent on the maintenance of functional trading relationships. 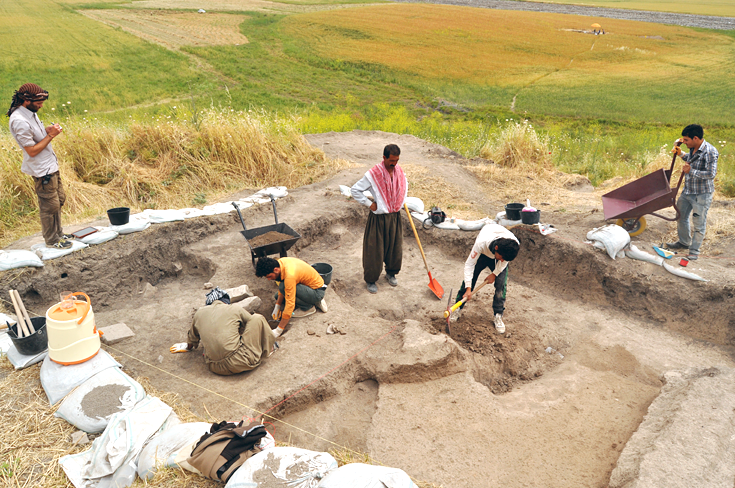 “Mesopotamia itself largely lacked raw materials, especially metals. But via the Shahrizor plain it had access to regions in which metals were available. 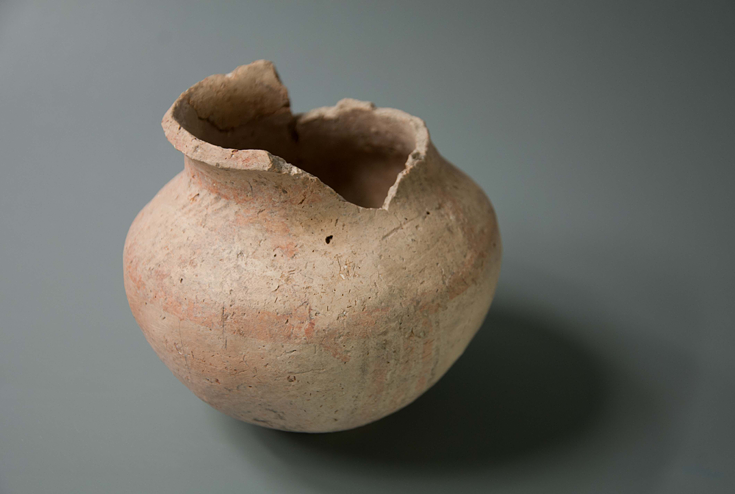 The plain itself was known for stock-raising, and herds of cattle, sheep and goats were brought by drovers to the temples in the south,” Mühl says, adding that these contacts are attested in contemporary cuneiform texts. The region is first mentioned in these texts on clay tablets dating from the 3rd millennium BCE, at a time when the Shahrizor plain was part of the kingdom of Simurrum. However, in the middle of the 2nd millennium BCE, the area disappears from the historical record, and is first mentioned again only in the 12th century BCE. What can explain this “dark age” which lasted for several centuries? To answer this question, Simone Mühl is utilizing a variety of methods. 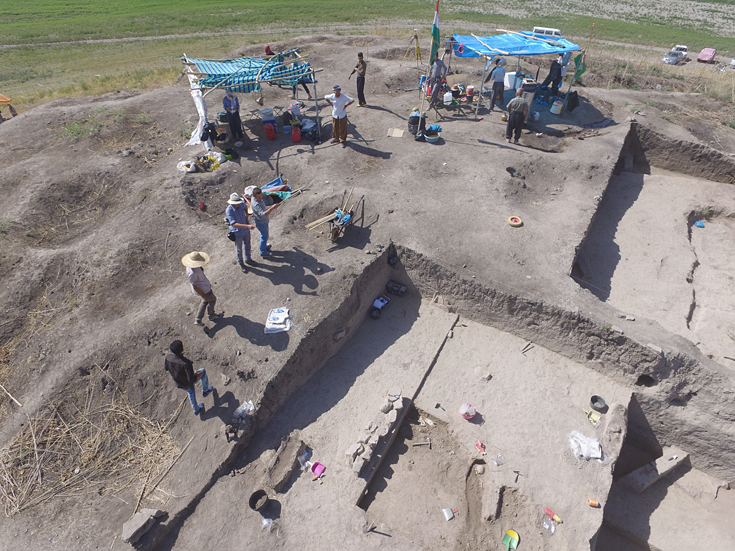 Archaeological excavations are one tool, and here they were preceded by a program of satellite-based remote sensing to elucidate the history of settlement in the valley. “We study the landscape with all available tools because it can tell us much about the interactions between human communities and their environment. For instance, agriculture leaves an imprint on the landscape that is quite distinct from that left behind by stock-raising cultures. And this allows us to draw conclusions about the structure of the economy in ancient times,” Simone Mühl explains. “I really enjoy working with colleagues in other disciplines and I benefit greatly from such collaborations, because it broadens one’s own knowledge so much.” Her readiness to collaborate has also enabled her to acquire a wide range of methodological skills that can be usefully integrated into her work. Her markedly interdisciplinary approach is one of reasons why she has been honored by the Princess Therese of Bavaria Foundation. The Foundation was set up with the aim of promoting the advancement of women in the sciences by drawing attention to their contributions to research, and explicitly recognizing their roles as exemplars for junior female researchers. Mühl is one of seven awardees for the year 2017, who will be formally presented with their prizes on 9 February 2018. 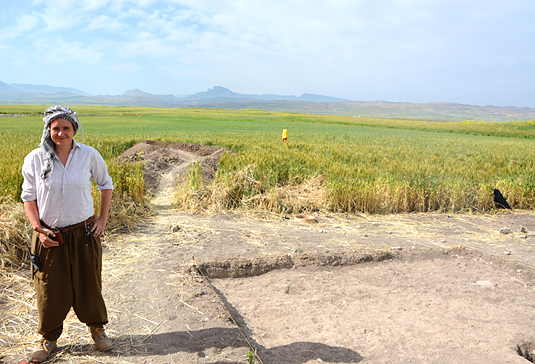 Simone Mühl, who decided she wanted to be an archaeologist when she was still a child, began her studies in the plain of Shahrizor when she was a Master’s student. Having obtained her primary degree at Heidelberg University, she conducted research at the University of Chicago, before returning to Heidelberg, where she obtained her doctoral degree in 2011. She moved to the Institute for Near Eastern Archaeology at LMU in 2012, and since then her research has been supported by a number of competitive fellowships and grants. Since 2016, she has headed an independent Junior Research Group – funded by the DFG’s Emmy Noether Program for exceptionally qualified early-career researchers.